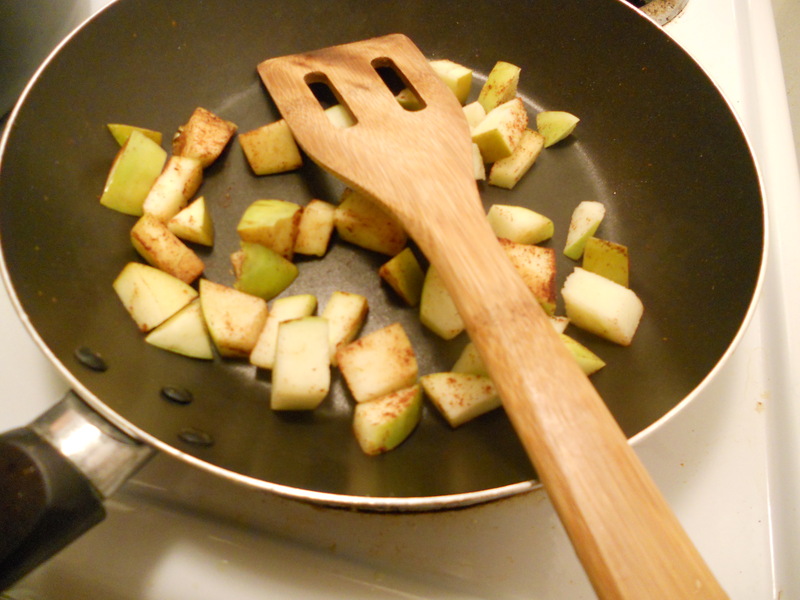 The morning started off with a sweet concoction of pan sautéed apple with cinnamon and a tsp of vanilla. 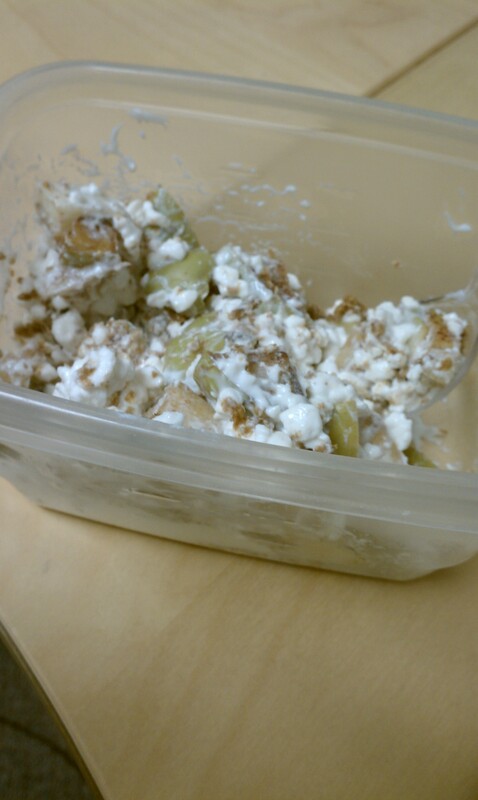 Then I mixed this toasted mixture with some plain cottage cheese and topped it with a bit of bran. It was still delicious even after being transported to work in a tupperware container. I was exhausted by the end of the day and decided to forgo the gym in order to be well rested for my long run planned today. Dinner was ordered in but unfortunately my meal that arrived was not the meal I ordered, but oh well. It ended up being ok because I filled my sadness with Parks and Recreation and Up all Night – all better!